For some, it's relief from pain. For others, it's to look and feel good. What can chiropractic can do for you? Please visit our new patient center to print your paperwork to fill out and bring to your first appointment. Chiropractic Massage Therapy is recommended for a number of conditions and illnesses, including: arthritis, TMJ, immune system issues, muscle spasms, fibromyalgia and more. Do you suffer with neck pain, radiating arm pain, or sciatica? Have you been diagnosed with herniated or degenerated discs in your neck or lower back? Then spinal decompression therapy might be beneficial to you! Out Of Pain And On To A Better Life! 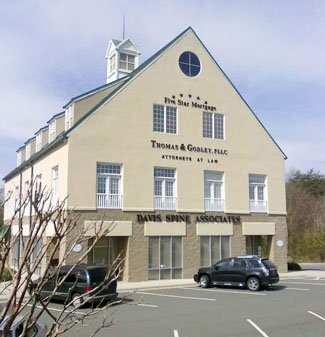 Thank you for visiting the website of Mooresville Chiropractor Dr. Paul Davis and Davis Chiropractic Specialists - a professional Lake Norman area chiropractic clinic. Dr. Davis strives for excellence through superior patient treatment, education and satisfaction. Dr Davis proudly serves Mooresville, North Carolina 28117 and surrounding Lake Norman areas. Within our website, Mooresville and the Lake Norman area residents will find all types of health and wellness related information including information about our office and services, chiropractic, back and neck pain, work and auto injuries and much, much more. We hope you enjoy the information within and share it with others. Again, thank you for visiting www.davisspine.net and remember to come back often.